Myra McEntire: Kim Harrington: Bookanista Thursday in The Fort! 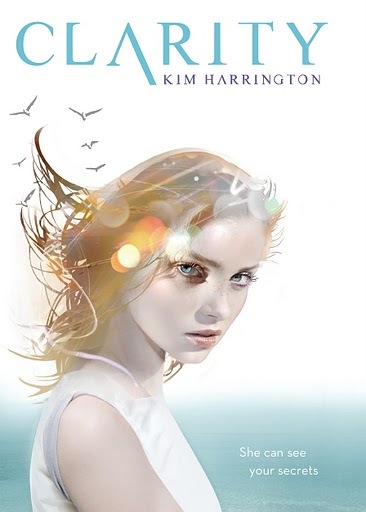 Kim Harrington: Bookanista Thursday in The Fort! I loved CLARITY by Kim Harrington. LOOOOOOVED. I'd been coveting it ever since the cover was revealed and I learned about the concept. So this fall, I jumped on the suggestion that Kim and I swap ARCs and then swap back (we only get a few, you know). I had really high hopes, and I was NOT disappointed. Clare is funny, snarky, brave and resourceful. (She and my Emerson would totally be BFF's. They could travel through time and solve crime - and possibly pick up some "special" souvenirs to sell to pay for their college educations.) Clare's family relationships are strong and the interactions believable. Her mom is a free-spirit, her brother is quite the ladies' man, and both of those things get them all into trouble. When things go really, really wrong and Clare's brother becomes a murder suspect, she does everything she can to help him clear his name, including teaming up with a police detective's son. When a new "psychic" moves in on the main street of town, Clare tries to help her family business stay afloat. This seems like a lot of responsibility to carry on such young shoulders, but she has the strength to handle it, and the reader roots for her all the way. The small, sea-side tourist town makes the reader long for summer and kisses in the sand. *cough* The descriptions of locals and outsiders are spot on. So, if you're a fan of mysteries with a twist of paranormal, and if you like your heroes handsome and flawed, CLARITY is for you! I love even more that there's a sequel coming: PERCEPTION! You can learn more about the origins of CLARITY and follow Kim's journey on her blog by clicking here. Kim Harrington lives in Massachusetts with her husband and son. When not writing, she's most likely reading, watching one of her favorite TV shows, or fantasizing about her next vacation. She has no psychic powers and is cool with that. Visit her on the web at http://www.kimharringtonbooks.com. Spaghetti with plain (not chunky) marinara sauce and Parmesan cheese. I would eat it for dinner every night of my life if I could. I’m more of an indoor girl so I’m going to pick a board game…and I have to go with my nerdy favorite: Trivial Pursuit. Can I wear all three? I’m ALWAYS cold. I often wear robes over my clothing with a blanket on top of that. Both. The warmer the better. I don’t drink tea or coffee, but I love hot chocolate. Especially with marshmallows. I’m all about the ghost stories. My favorite part of slumber parties was scaring each other to the point where we couldn’t sleep. But, strangely, I can’t remember any of the stories. Must be the trauma. Both are scary…though I’ll pick truth. Maybe the sounds of Bob Marley would help us feel warm. We could close our eyes and pretend we’re on a beach. Somewhere in Time. Everyone else may think it’s a cheesy movie from 1980, but Myra and I know it’s GENIUS. Who's the ideal male mascot for The Fort and why? I’m going to go with the unconventional choice of Stephen Hawking. He can help explain some of the topics Myra and I obsess over. Lightly toasted and plopped on chocolate. Awake all night. I never sleep well away from home. And if we’re in a real fort…like outside …then there’s NO WAY I’m sleeping. I would probably want to do a practical joke, but fear of retaliation would stop me. I’d have Sonia Gensler come and tell us ghost stories! Thanks for visiting The Fort, Kim! 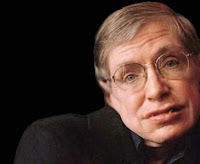 I'm keeping Stephen Hawking, btw. Writing time travel IS HARD. Ok, I LOVE that she chose Stephen Hawking. Such a refreshing mascot! Also, looking forward to reading Clarity. (And HOURGLASS, but you know, more on that later!) Sounds like a really page-turned. How could you not love a character that could be BFFs with your character? I sooooooo loved this book! OMG Somewhere in Time absolutely broke my heart when I saw it! That movie left a huge impression on me -- is it available on DVD? I will do my best to line up some good ghost stories for The Fort. Can we have a castle fort? In Wales? And teleport there? Perhaps going back in time while we're at it? Could Stephen Hawking help out with this? I love that she chose Stephen Hawking! Great answer. I seriously cannot wait to read Clarity. I've been itching to get my hands on it for ages!